Happy November! With Thanksgiving later this month, November is an excellent time to remember all we have to be thankful for. I know I often get caught up in what's wrong and don't focus enough on what's right or in today's case, who was right. November 1 is All Saint's Day. Being raised Lutheran, we commemorated this day on the first Sunday in November. Everyone who had passed away in the previous year was recognized. To me it is a day to reflect on those who were special in my life. Last fall, I journaled about 5 important people from my life. I reread the entry last night and remembered so many wonderful things about these special people - some family and some friends. 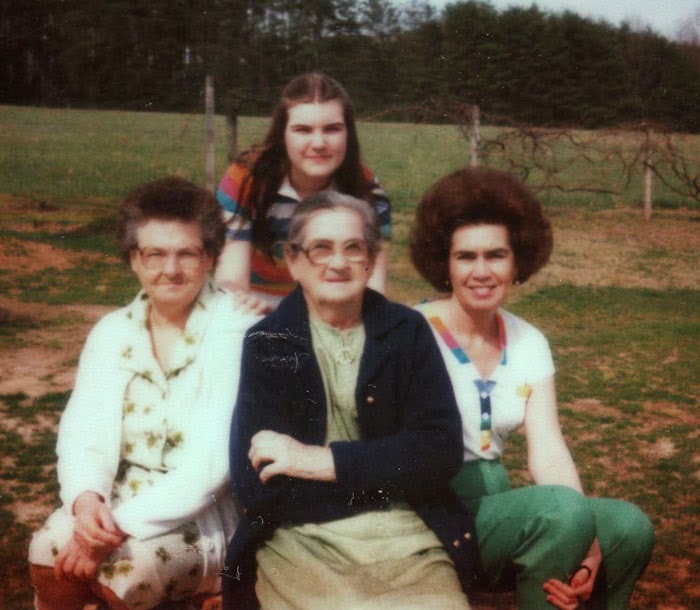 One person I have not written about much is my maternal grandmother - Maw Maw. The thing I most could not understand about my grandmother was how she worried so much. It didn't seem to me as a child there was anything to worry about. Boy, those were the days! I'm a worrier now and now I understand her so much better. I also have come to appreciate a lot of her wisdom. She may not have ever watched television (really, she refused to look at it) or have traveled but she certainly knew a lot about people, growing things, quilting and kindness. So today I'm grateful that I had Maw Maw in my life until I was 22. I'm thankful she loved me. I was blessed by my grandparents, too. What a shame that we have to mature too late to seek more of their wisdom while they're with us. But oh what beautiful memories!